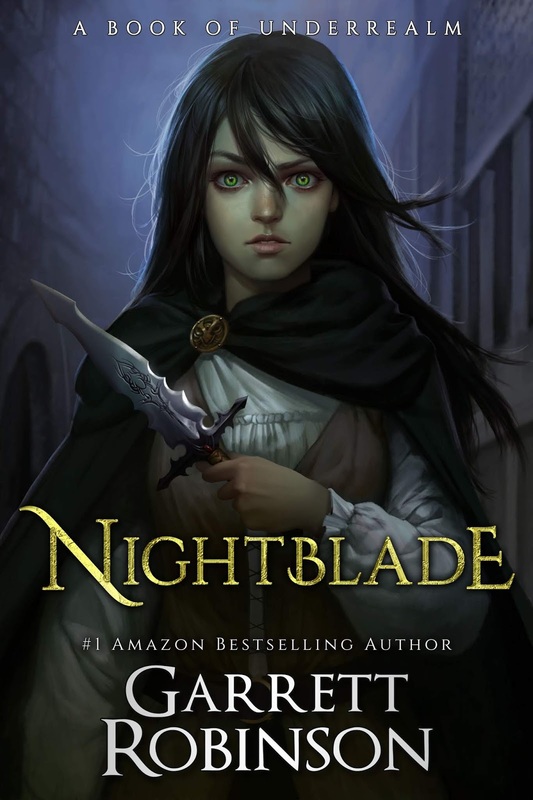 I have my sibling to thank for finding Nightblade, as they informed me about a giveaway that the author was having. It's taken me a little while to get to it, but I was looking forward to taking a look as the author seemed to be really keen on promoting diversity in his works. If there's a genre that should be more diverse but isn't, fantasy is right at the top of that list. 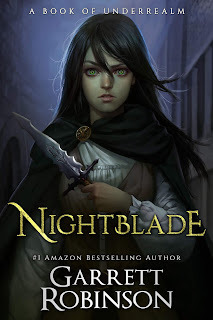 Nightblade follows Loren, a forester's daughter who dreams of escaping her cruel parents and becoming a thief of such calibre that legends are made of. She finds her opportunity when she meets a fugitive mage, Xain. Unfortunately, she finds that travelling with him has garnered a lot of unwanted attention, and she only has her wits and a mysterious dagger taken from her parents to protect herself with. I had fun with Nightblade. It's not the best fantasy book that I've ever read, but it's a solid, fun read and that was honestly all I was after. The characters are interesting, if a little under-developed at the moment. Loren, the would-be thief, is an interesting mix of cynical and wide-eyed idealist, and there's a lot of righteous anger that I can see being really good to watch out for in future books. There is Annis, a merchant's daughter who is craftier than her sheltered life thus far would suggest. And there's Gem, the pickpocket who desperately wants to be a charming rogue. At the moment, there hasn't really been enough time to really develop them hugely, but I liked what I saw of it. Similarly, there are a lot of plot points that have brought up a lot of questions, but there are very few answers as of yet. Why Xain is running from the King's Law, and what makes Loren's dagger so special are the primary questions that will hopefully be answered in the future. It's not a huge bother for me, as it's a first installment in a universe that looks to be ever expanding, and I'm more than happy to pick up more of the series, should I find it.